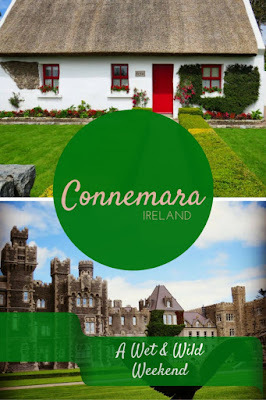 You might be wondering: where is Connemara? 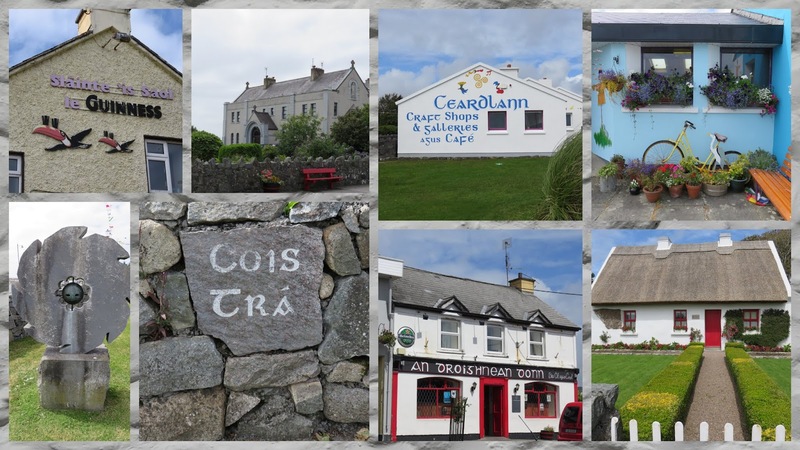 Connemara Ireland is in County Galway and lies in the heart of the Gaeltacht (Irish speaking part of Ireland). 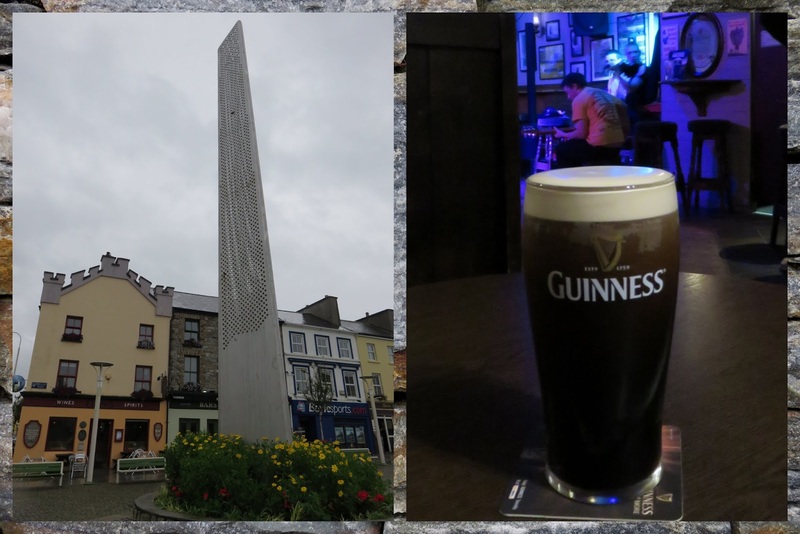 We took the bus from Dublin to Galway and then hired a car to drive from Galway to Connemara to explore the region for four days over the August Bank Holiday weekend. 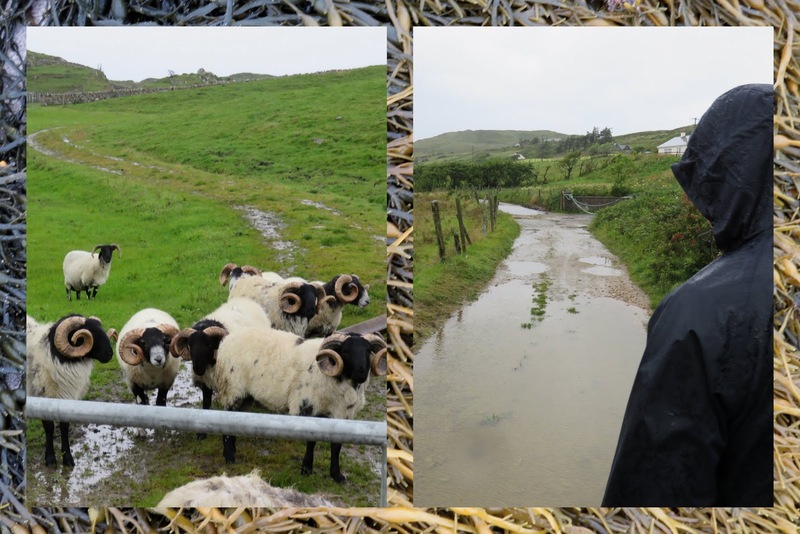 We discovered the beating heart of Irish culture in Connemara along with some wet and wild weather (it's all part of the adventure!) Here are twenty things to do in Connemara to fill a long weekend break during the summer. It's difficult to get around in Connemara without a car but we didn't relish the idea of driving all the way from Dublin out west. We compromised and took the bus (GoBus) from Galway (it cost just a tenner) and then hired the car from Galway City Centre saving us time, a few hours behind the wheel, and petrol costs that more than paid for our bus tickets. This approach had the added benefit of giving us a few hours to walk around Galway before departing for points further west. Galway is also one of the easiest places to get to from Dublin by train if you prefer this mode of transportation over the bus. Fancy making the journey to Connemara an end unto itself? 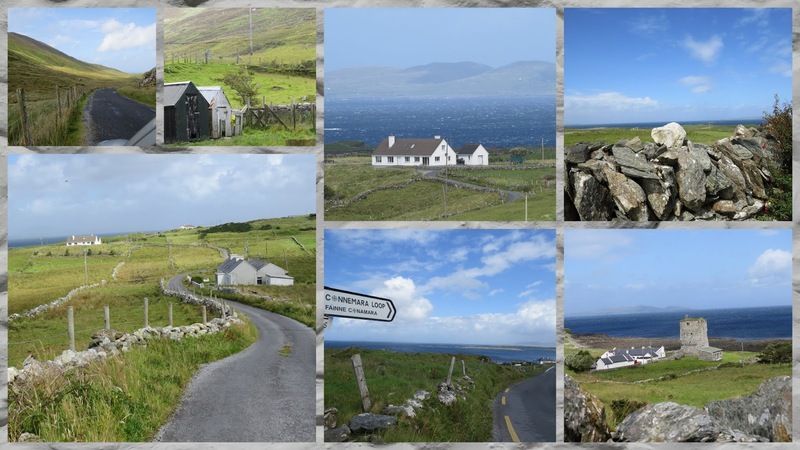 Carol from Wayfaring Views describes a 7 hour plus road trip from Galway to Clifden along the Wild Atlantic Way. 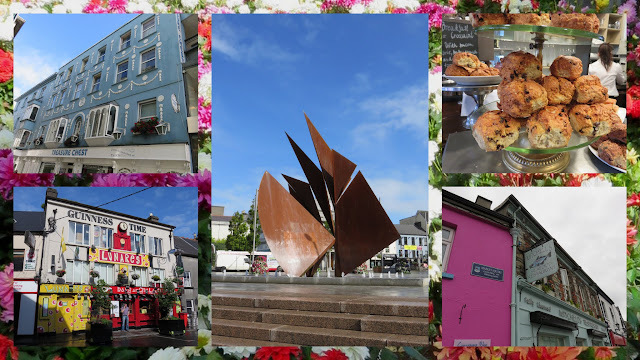 The town of Cong on the County Mayo/County Galway border was made famous in the John Wayne classic film, The Quiet Man. 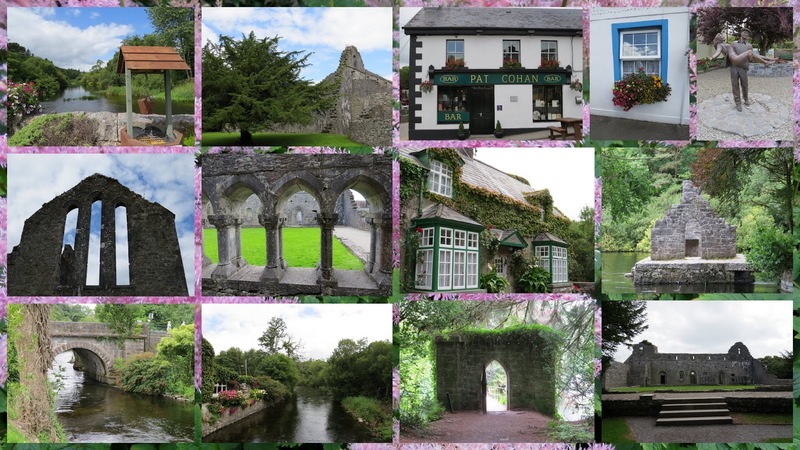 The movie tells the story of a retired American boxer returning to Ireland to find his family's roots.We watched the first 25% or so of The Quiet Man before embarking on our trip and quickly recognized several places from the film. 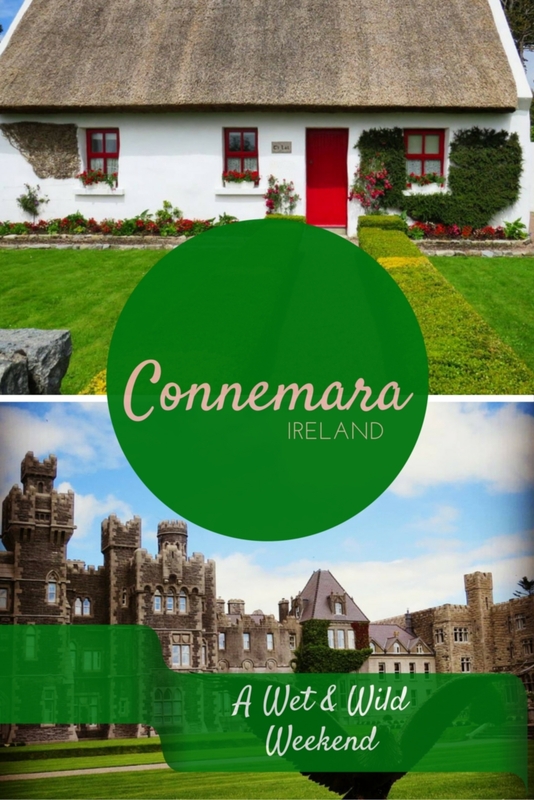 Overall, Cong is an iconic place for a walk to stretch your legs on a drive around Connemara. 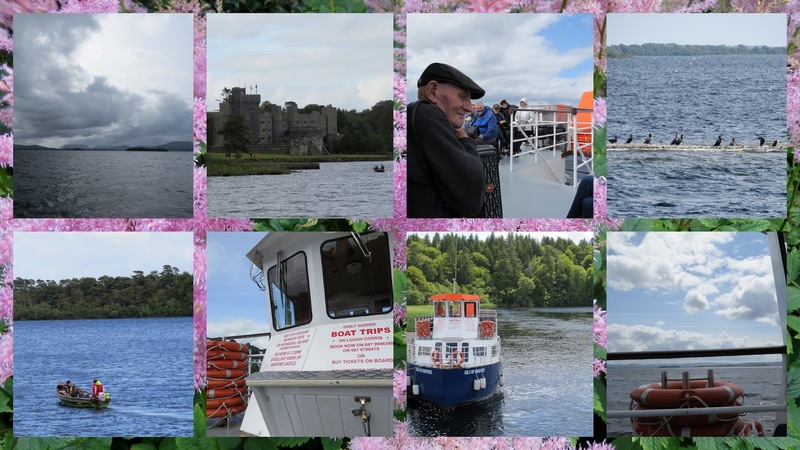 Ashford Castle on the shores of Lough Corrib is stunning to behold. The castle is also famous for being the place where Pierce Brosnan got married. 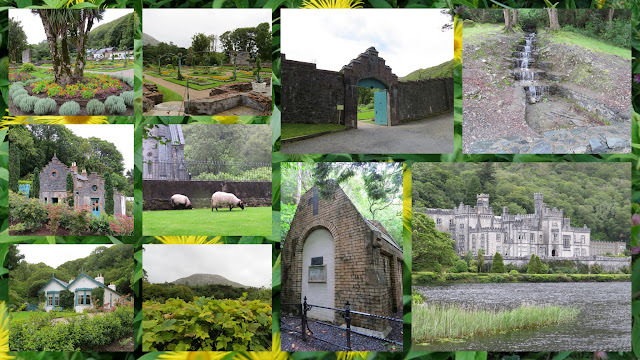 We circled the castle and strolled through the lush walled garden before making our way to the dock for our boat cruise. 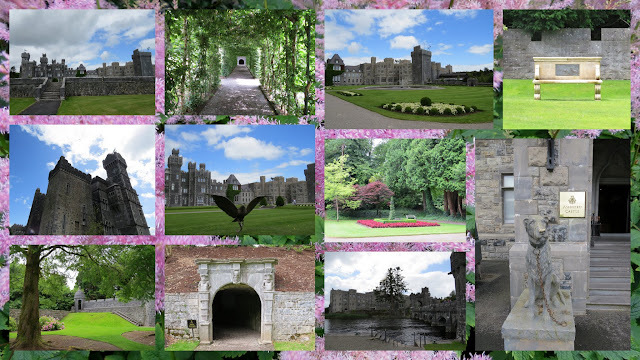 Note that there is a small fee to enter the grounds at Ashford Castle but it's totally worth the price of entry. We booked into a cruise of Lough Corrib with Corrib Cruises departing from Ashford Castle. The lake is quite large and with the wind blowing, the ride got a bit rocky. No bother, we were amply distracted by an elderly musician. His claim to fame was that he was featured as an extra in The Quiet Man and recalled memories of Maureen O'Hara and John Wayne on set almost 65 years ago. Inchagoill Island was the destination of our lake cruise. We disembarked the boat and were taken back in time to 5th century Ireland. Atmospheric ruins competed with lush forest for equal billing. An inscribed pillar marks the alleged burial place of St. Patrick's nephew. 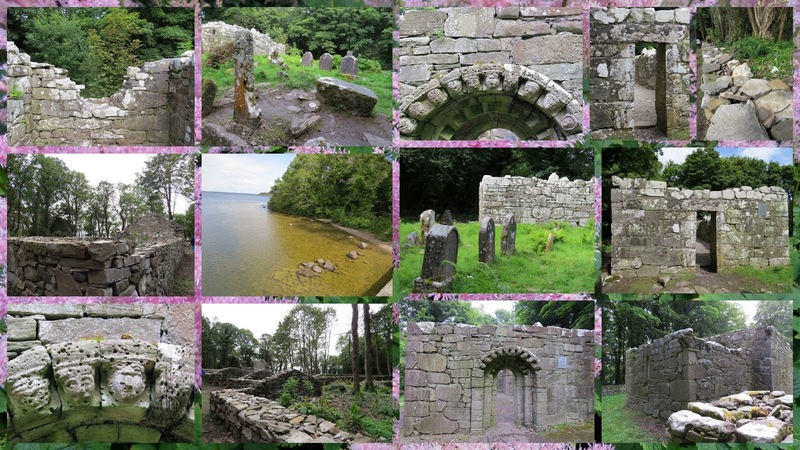 It is believed that St. Patrick himself spent time on the island in the 5th century. Back on land, I had some time to admire a thatched cottage on the grounds of Ashford Castle. That was a recurring theme throughout the trip. 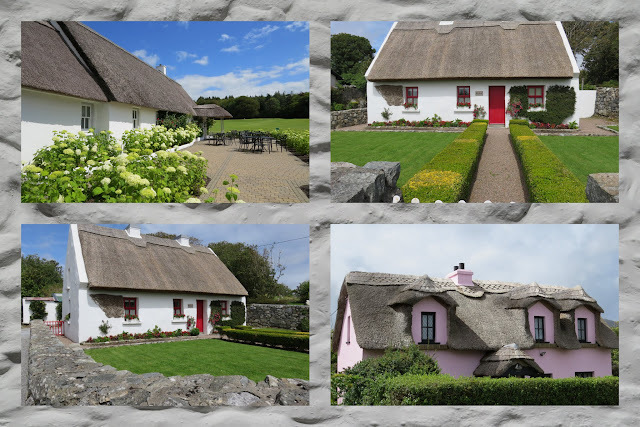 We saw cottages with thatched roofs again and again on our journey. 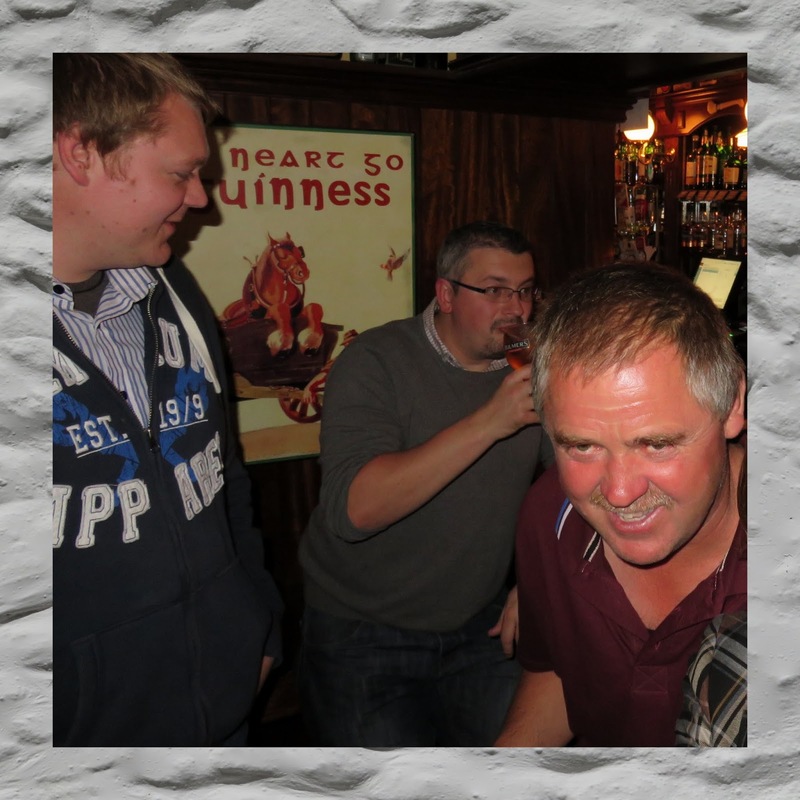 After a long day of driving and sightseeing, we settled into Clifden for a bit of craic. We met this guy in Lowry's and chatted over a pint of Guinness. He definitely had a twinkle in his eye. Clifden is a typical Irish town in Connemara with brightly colored storefronts and pubs. It makes for an excellent home base for exploring Connemara. Connemara in general and Clifden more specifically is known for high quality music and dancing. 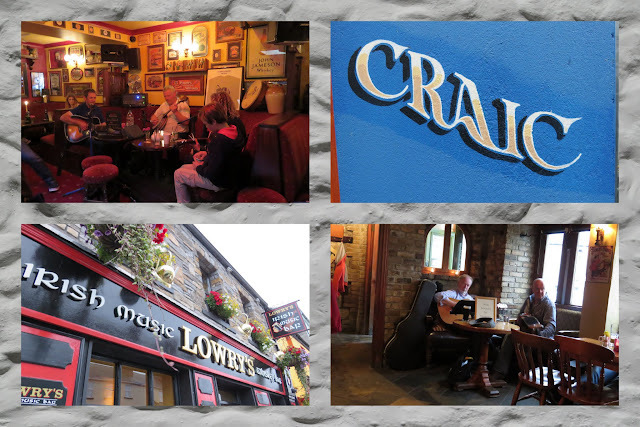 We were treated to a number of trad sessions at Lowry's and Griffin's Bars. At Griffin's, some of the musicians even donned dancing shoes and seemed to float their way across the floor with ease. Their feet were moving so fast they didn't seem to touch the ground. Amazing! Connemara is also a most excellent place to sample Irish seafood. 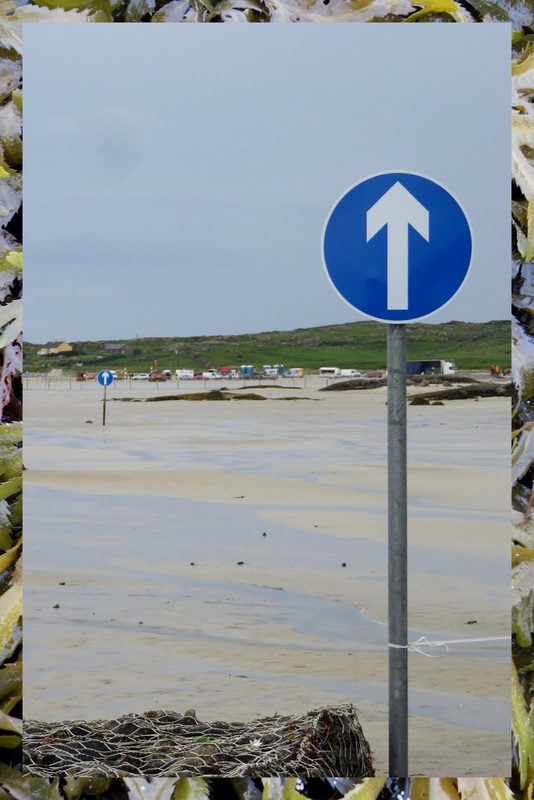 Mussels, calamari, chowder, and more feature prominently on the menus in Clifden and beyond. 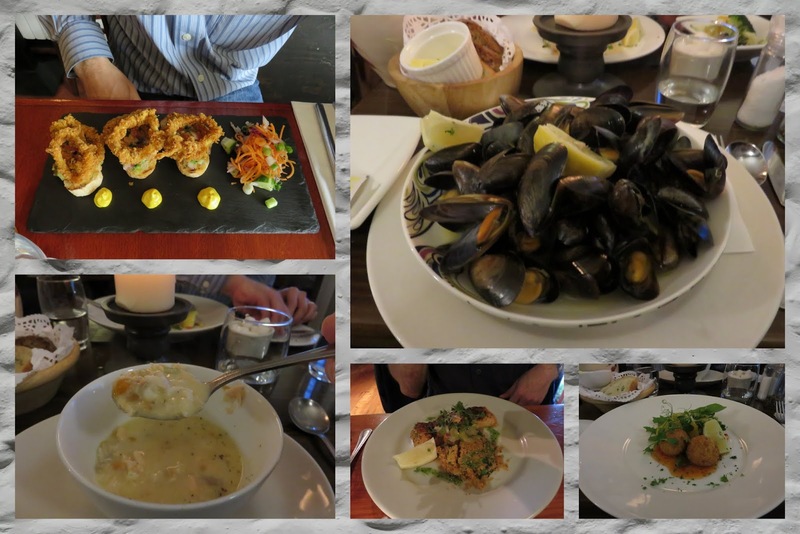 We particularly enjoyed dinner at Mitchell's Restaurant in Clifden (booking is essential as this place is very popular). 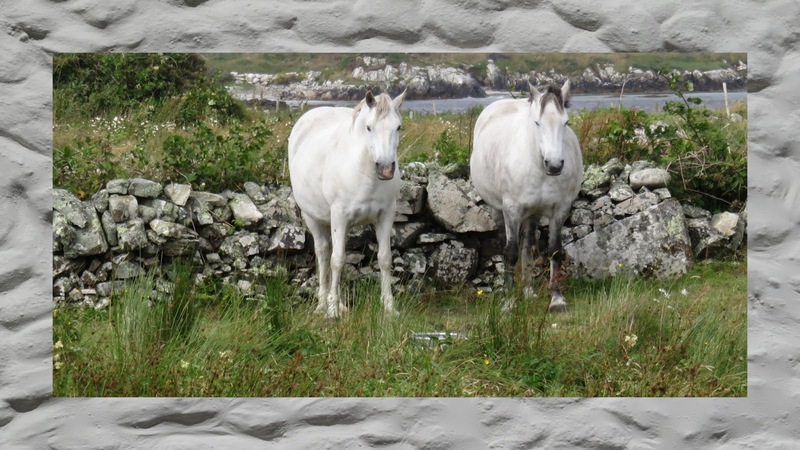 We'd heard stories about Omey Island, a short drive from Clifden. The island is only accessible during low tide with a road emerging from the sand. We were intrigued and decided to check it out. 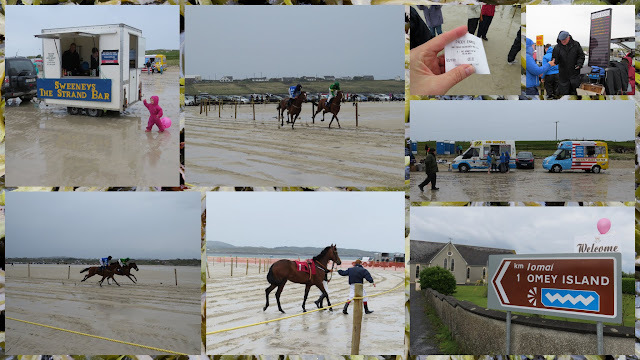 Imagine our surprise when we got there and found that a horse racing track had been set up over the August Bank Holiday weekend. Despite inclement weather, we cheered for the competitors and even placed a bet with one of several bookies who had set-up shop on the beach. I love amazing surprises like this when we travel! Aside from the horse races, Omey island also features amazing natural beauty. 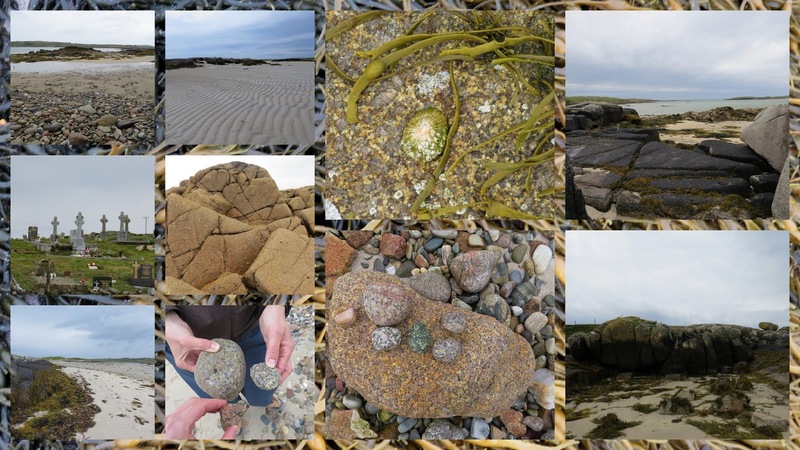 We walked about a quarter of the way around the island keeping an eye out for brightly colored and textured stones while listening to the wind and sea beyond. We felt lucky to experience this remote and beautiful place. A little rain can't stop us! That's what we thought when we started out on a short hike to a castle-like structure just outside of Clifden. We attempted to navigate the flooded path as gorgeous curly-horned sheep looked on. We ended up retreating in favor of living to fight another day. 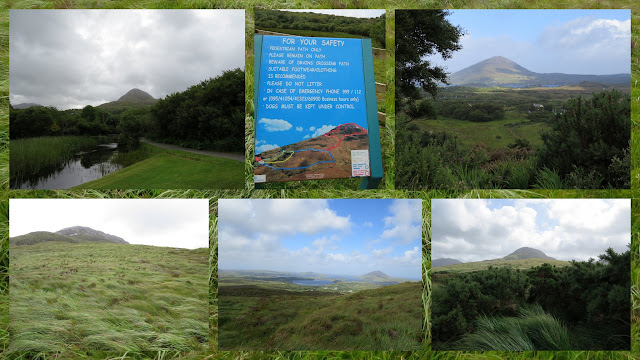 Diamond Hill in Connemara is a picturesque hike. At least it wasn't raining when we reached Connemara National Park. It was, however, extremely windy. There are three possible trails on Diamond Hill. The longest and steepest trail leads to the top. We were feeling energized and decided to tackle that hike. One of the park rangers advised caution given the wind but didn't say outright 'don't go'. It will be windier at the top is what I recall him saying. That was a bit of an understatement. We made our way up the trail towards the top and the more we climbed, the windier it got. At one point, we nearly got blown off the mountain. We looked up and realized we still had a significant distance to go then back down the 'one way' trail. We made the smart decision and turned back. Safety first! Since our walk got cut a bit short, we decided to take a short drive around a peninsula near the national park. We wound our way around narrow roads meant to be two way but that could realistically only allow one car to pass. Fortunately, we saw very little traffic on this route and had the whole place to ourselves. We enjoyed sweeping views of the countryside and roiling sea below. Kylemore Abbey is one of the iconic sites in Connemara. It was run as a convent and boarding school for years before shutting its doors and finding new life solely as a tourist attraction. We admired the estate including the impeccable walled gardens. We even spotted a few sheep grazing in the forest near the chapel. It's an idyllic place, even in the rain. Connemara has its very own breed of white ponies. We spotted several on our drive and couldn't help but pull over to take a picture. They are stunning creatures. 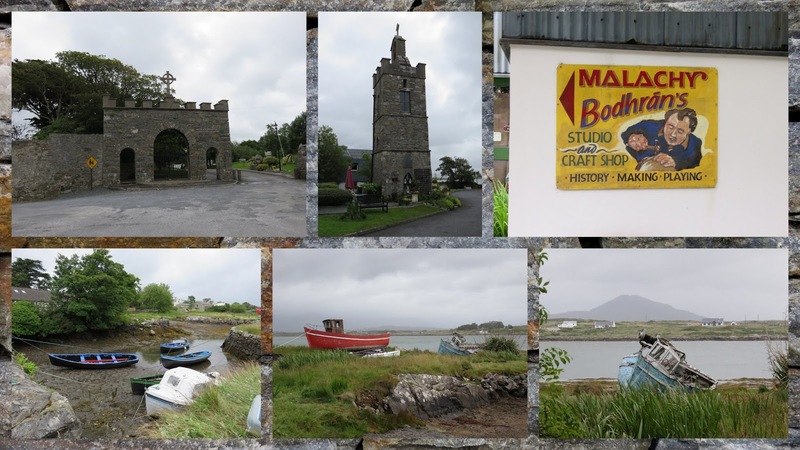 Rural Roundstone is another popular destination in Connemara and we stopped in town on our return trip to Galway. We went for a peaceful walk and even popped in to see Malachy the Bodhrain maker. Unfortunately, the shop seemed jaded by the attention of tourists and 'no photos' and 'no trying on the merchandise' signs were everywhere. Still, it was interesting to see how the traditional Irish instruments are made. Birds are plentiful in the West of Ireland and we enjoyed spotting new species on our trip including chaffinches, sandwich terns, and wheatears. 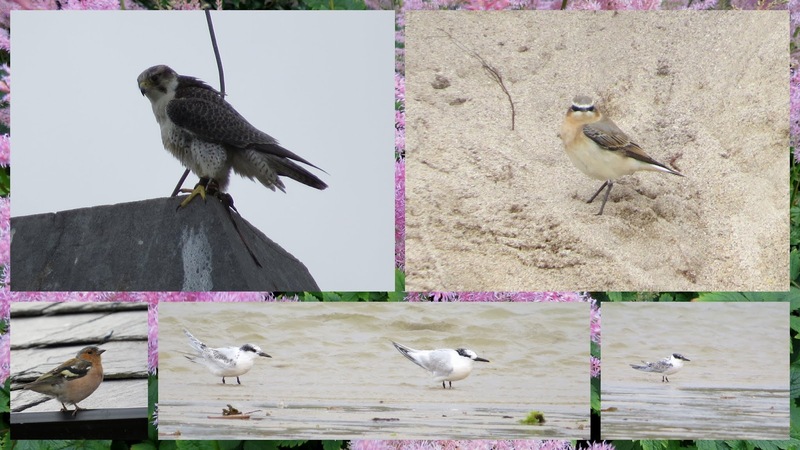 We even saw a peregrine falcon at Ashford Castle! Spiddal is just a 45 minute drive from Galway and was a fitting place to finish up our driving circuit of Connemara. Many of the buildings and street signs were in Irish. The village features quaint thatched cottages, authentic pubs with live music, a crafts market, and more. We fueled up with a gourmet lunch at Tigh Giblins before completing our return trip to Galway. To give you a sense of the ground we covered, here is a map of the places we visited. There are a wide range of road trips to take in Ireland. Some of our favorite road trips include Dublin to Dingle, Dublin to County Clare, and if you like poetry, Dublin to Sligo. 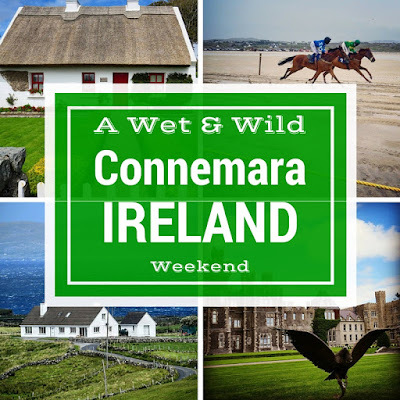 Things to do on a weekend break in Connemara, Ireland. 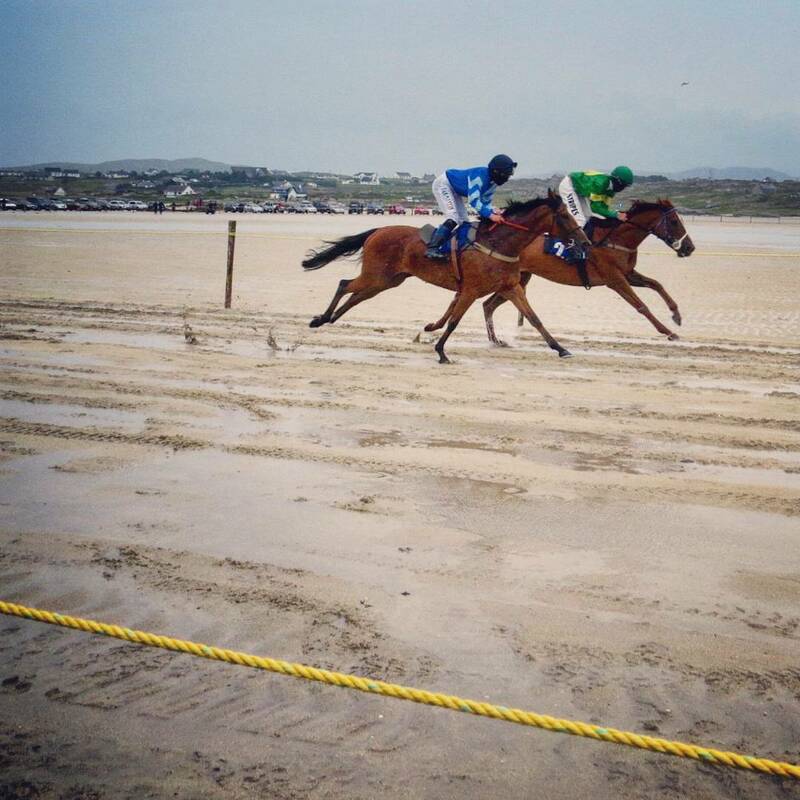 Written by Dublin based travel blogger, Jennifer (aka Dr. J) of Sidewalk Safari.